Japan Airlines is the national carrier of Japan. It is the second largest airline in Japan headquartered at Shinagawa inTokyo, Japan. Japan Airlines primary hubs are at Haneda Airport and Narita International Airport, and its secondary hubs are located at Kansai International Airport and Osaka International Airport. Founded on 1st August, 1951, Japan Airlines commenced operations on 25th October, 1951. Japan Airlines is a member of the OneWorld airline alliance. 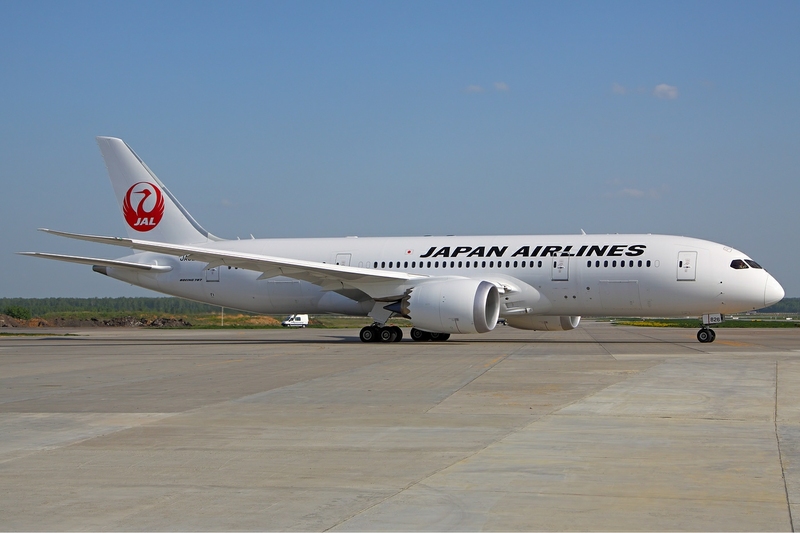 Japan Airlines offers top-quality service, on-time and hassle-free operation at the best possible fares! Japan Airlines operates on an all-Boeing fleet of 160 aircrafts. Japan Airlines operates on 36 international routes and 36 domestic destinations. Japan Airlines is a full cost carrier and its aircraft cabin is divided into four cabin classes. Japan Airlines offers extremely luxurious seats on their First Class Cabin, the seats get converted into lie-flat beds and are equipped with retractable privacy partition, ample storage compartments for your carryon luggage and personal 23 inch LCD screens to keep you entertained during the flight. Japan Airlines provides its First Class passengers with amenity and relaxing wear is also available. Seats in the Business Class on board a Japan Airlines flight vary with the sector and the aircraft. There are 6 types of seats namely JAL SKY SUITE, JAL SKY SUITE II, JAL SHELL FLAT NEO, JAL SHELL FLAT SEAT, JAL SKYRECLINER AND JAL SKYLUXE SEAT. All these seats are extremely comfortable and luxurious. These ensure that the passengers reach their destination fully rested. Premium economy seats on Japan Airlines flights are designed around the passengers, the seats are large and comfortable with good legroom. Each seat is provided with an AC electrical output to power your laptops or phones. Economy passengers now enjoy wider seats on board a Japan Airlines aircraft. There are two types of seats that vary according to the aircraft type and also on the route. The two types of seats are JAL SKY WIDER and JAL SKY WIDER II. The frequent flyer program of Japan Airlines goes by the name of JAL Mileage Bank. This is a four tiered program. Passengers can accumulate miles while travelling with Japan Airlines and its OneWorld Alliance partners. Book tickets for 10 travellers or more with Japan’s flag carrier Japan Airlines by FareHawker flight Group Booking desk. We offer Japan Airlines group fare facility for all travel portal, travel agencies, corporate & tour operator. Our ex-airliner team members are expert in handling small or large segment of Group Bookings. Japan Airlines Flight Lowest Group Fare - Buy Group flight tickets with FareHawker for booking international airlines group tickets on discounted fare. We are the largest consolidator for Group Air tickets in India and abroad. Post Your Group Booking Query for Japan Airlines. How to book Group Tickets in Japan Airlines Flight ? Any traveller, corporate, travel agency or individual can directly mail to FareHawker Group Desk team by asking for Japan Airlines flight group fare. Our group booking expert will get back to you on the same trail within 4 hours. Air ticket booking available at lowest airfare for Japan Airlines flights at affordable prices at FareHawker. Japan Airlines flight online booking - Book Japan Airlines ticket online at lowest air fare at FareHawker. Get best offer for Japan Airlines connecting India and abroad! Book Japan Airlines tickets with FareHawker as we offer the best-in-class fare options for all types of airline bookings. Our dedicated ex-airliner team with their in-depth industry knowledge offers you the cheapest possible fares for domestic as well as international travel. We take pride in our relationship with the airline partners and it is this relationship that allows us to offer you great travel solutions. We are here not only to find the best flights at cheap airfares but also to offer you consolidated travel services so you enjoy a seamless travel experience. Visit Japan Airlines FAQ for all related queries. Terms and condition of FareHawker and Japan Airlines apply.